Mix the ingredients until you get a smooth dough. 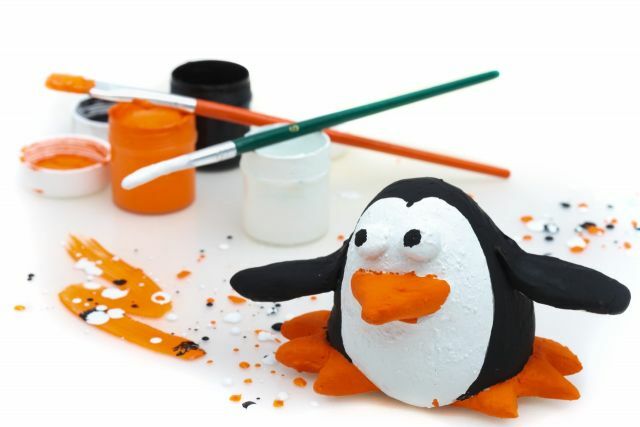 Make your own artwork of the dough, try to make the cute penquin you see at the picture or anything else that comes in mind. To save your artwork, you can dry it in the oven at 100 degrees for 1 hour and then let it rest at room temperature overnight. When your figure has dried completely, finish it by painting it with hobby paint.